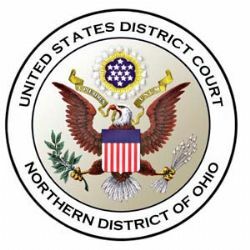 Samuel Mullet, the bishop of the rogue Amish sect that terrorized Amish in four Ohio counties with hair clippers, was sentenced today by U.S. District Court Judge Daniel Aaron Polster to fifteen years in prison. Fifteen of his followers who carried out the brutal attacks will all do some jail time, with sentences ranging from one year and a day to seven years. The most complete record of today's proceedings I've been able to locate is from WKYC in Cleveland, and it includes a partial transcript of comments. Each of the defendants took responsibility and many offered to take on the punishment for others. In particular, several of the husbands offered to serve for their wives so that they could go home to their children. Judge Polster gave the lightest sentences to the women and deferred a number of them until after their husbands are released so that the children would be protected. Many of the defendants were characteristically Amish -- apologetic, contrite, and accepting of justice for their fully confessed wrong-doing. To my ear Sam Mullet still managed to come off as a self-pitying martyr. "I am being blamed for being a cult leader....I am not going to be here much longer...my goal in life is to help the younger people...if somebody needs to be punished, I'll take the punishment for everybody....let these mothers and fathers go home to their children"
"I'm not taking the farm with me. I'm not going to be here much longer. My goal in life has been to help people that are the underdog, to help people who are frowned on, mocked.....,"
"Let these dads and moms go home to their families, raise their children, I'll take the punishment for everybody. There's a lot more things I could say, but everything I say is twisted and turned." Well. At least he offered to do the right thing, even if he resents it. "You deserve the longest and harshest sentence...you ran the Bergholz community with an iron hand....sadly, I consider you are a danger to the community.....I think a sentence of life in prison is longer than necessary so I am opposing [sic] a sentence of 15 years." But for a 67 year old man, that could be a life sentence. Judge Polster also had harsh words for the rest of the defendants. "Each and every one of you did more than terrorize, traumatize and disfigure the victims," said U.S. District Judge Dan Aaron Polster. "You trampled on the Constitution." He further made the point that they had all benefited from First Amendment religious protections which allowed them to do things like avoid jury service and leave school at 14 years of age. Defense attorneys argued for light sentences, proffered letters of support from family and business associates, and argued that long sentences would be a hardship for the community and children. In rebuttal, prosecutors underscored the violent nature of the attacks, the terror they inflicted on the greater Amish community, and the religious implications of targeting hair and beards. 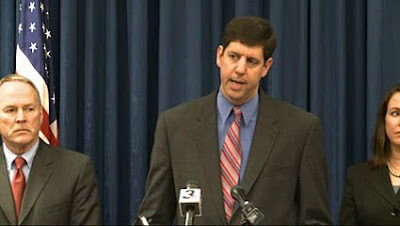 U.S. Attorney Bridget Brennan also pointed out that the attacks did not stop when some of the attackers were arrested. They only stopped once Bishop Mullet was behind bars. One hopes that his continuing incarceration will be the end of attempts by his followers to violently impose their brand of Amish on others. But, where the convicted perpetrators have expressed deep regret and promised that this would never happen again, the reaction from the Bergholz community is telling. Mr. Mullet’s community of about 135 has stood by him, vowing to continue living in isolation from other Amish, whom they condemn for drinking, smoking and playing musical instruments.